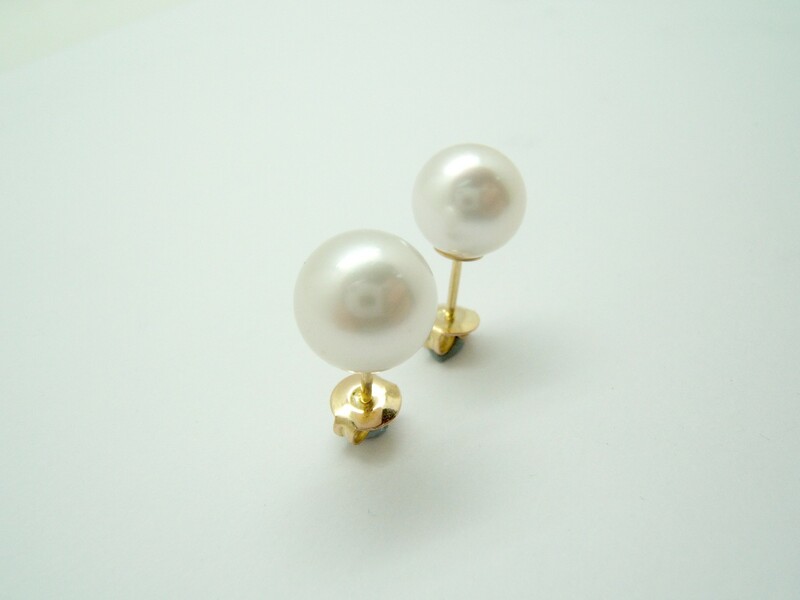 Outstanding Australian pearls, 10-11 mm diameter, with frame and closing pressure� in pure Gold 750/000. It is a kind of pearls exceptional.Are cultured in the salt waters of northern Australia by the Oyster Pinctada Maxima. Stand out for the depth of their luster and iridescence.The time of manufacture of the pearl within the oyster range from 4 to 8 years.